The challenge were doughnuts. But since I just made them some weeks ago, as you can see here, I wanted to try something different. Especially, because frying is so versatile and the fried goods are always so delicious. So I took the chance to make churros. 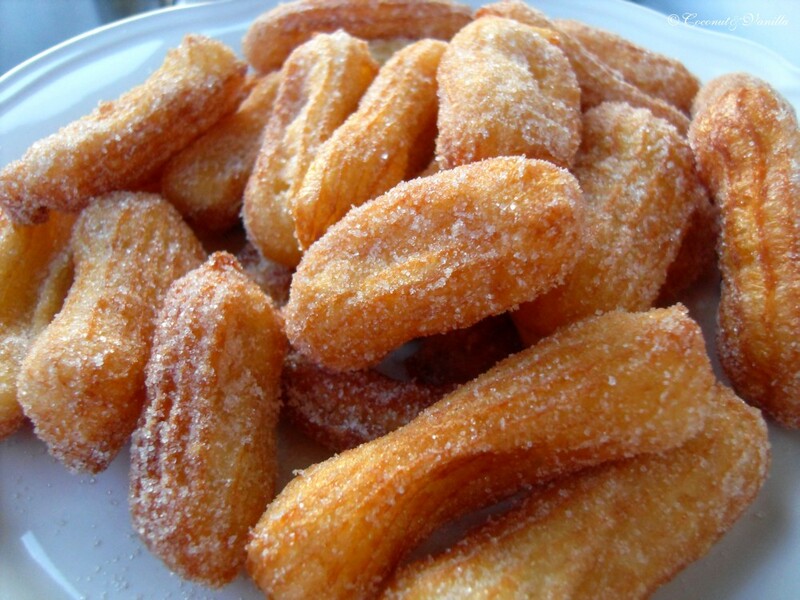 I love churros, since I remember, that I’ve first eaten them on our vacations in Spain. Bought in a paper bag from a mobile churrería. DELICIOUS. I remember them pure or tossed in sugar. I didn’t get to know the version, where you dip them in thick warm chocolate. That sounded good to me, too. But in my memory, the churros were rich, not so light. So I decided to skip the chocolate part spontaneously. In the end, the churros turned out really light. They puffed up, while frying and came out in a doubled or even tripled size, than before. I don’t know why this happened, maybe it was the recipe. Everything else looked right to me. 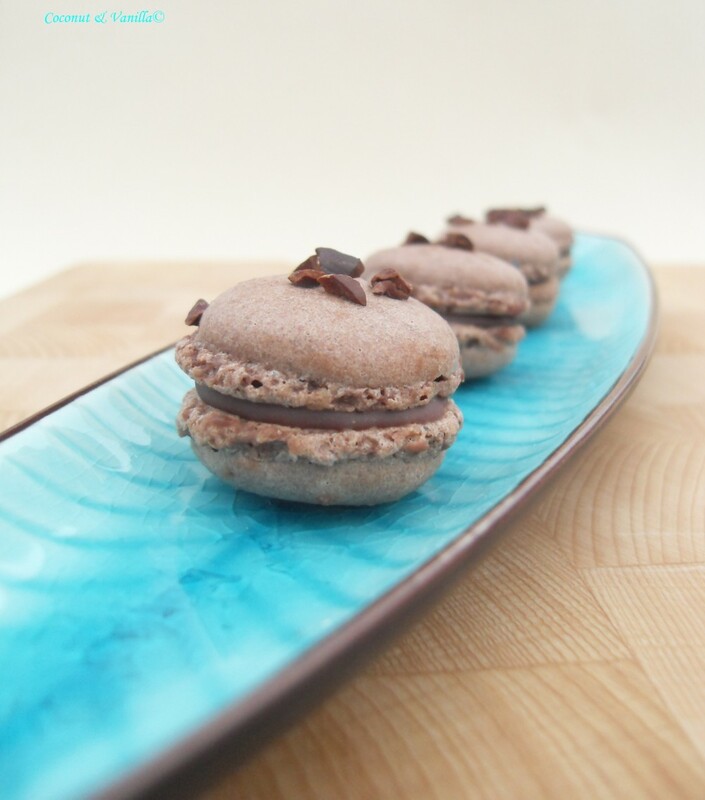 So a rich decadent chocolate would accompany this recipe just right. Nonetheless the churros were very good. 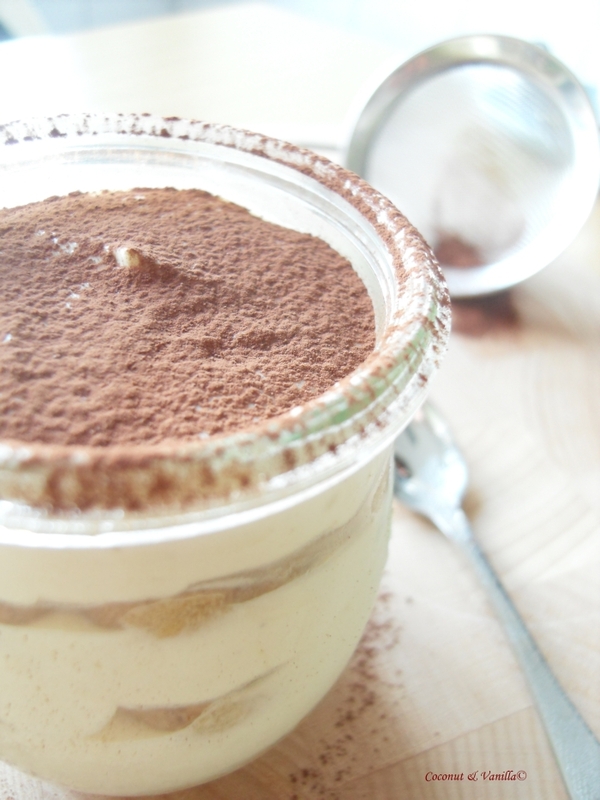 But I’m still looking for the perfect recipe, fitting my childhood memories. Wasser, Milch, Butter, Zucker und Salz in einen Topf geben und aufkochen. Das Mehl zugeben und mit einem Löffel einrühren, bis ein glatter Teigball entsteht. Weiterrühren (geht auch in der Küchenmaschine oder mit dem Handrührer) bis der meiste Dampf verflogen ist, dann nach und nach die Eier unterrühren. Rühren bis eine glatte dicke Masse entsteht. In einen Spritzbeutel mit Sterntülle geben. Das Öl auf 170° C erhitzen. Es sollte mindestens 10 cm tief sein. Den Teig auf Backpapier spritzen. Jedes Teigstück auf Papier ausschneiden, so dass man einen Churro auf einem Stück Papier hat. Wenn das Öl heiß ist, das Papier mit dem Teig in das Öl gleiten lassen. Der Teig löst sich vom Papier und man kann sie mit einer Zange rausnehmen. So muss man nicht mit dem Spritzbeutel über dem heißen Fett hantieren und die Churros behalten die Form, die sie haben sollen. Die Churros rausbacken, bis sie goldbraun sind. Dann mit einer Siebkelle herausnehmen und auf Küchenpapier abtropfen lassen. 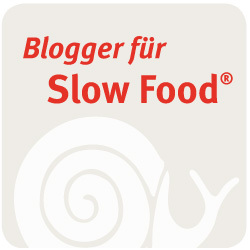 In Zimtzucker wälzen und sofort verzehren. I really like the idea of piping them on the paper and then into the oil a neat trick and so much better than piping the batter into the hot oil. 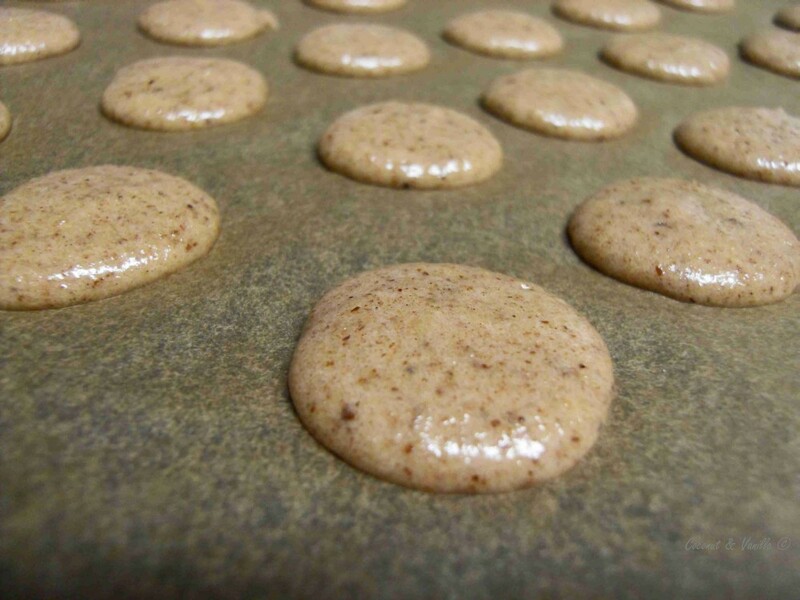 Also they look delicious so light and golden coloured. Well done on this challenge. Cheers from Audax in Sydney Australia. Your churros look delicious! They would be yummy with the chocolate as well as plain! OMG, next weekend I will be in Spain , I miss curros so much! delicious! hii. thanks for dropping by my blog and linking me up to the blanched oranges. i shall be trying that the next time! Adorable and delicious I am sure!! 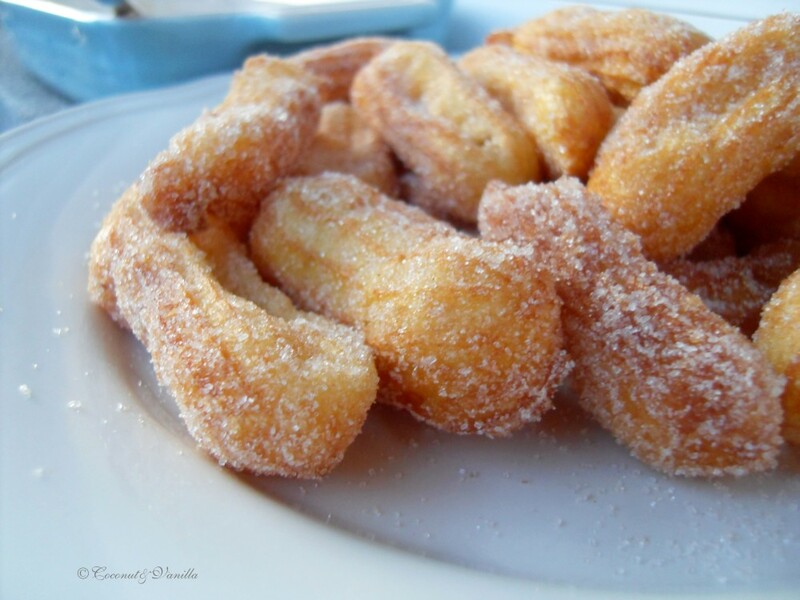 Waow, these homemade churros look delicious! I like the tip you gave with the baking sheet! I love churros, but I found them too rich when served with that thick hot chocolate in Spain. I made crullers from a similar dough and also used the same technique with the parchment paper. Mine did not keep their piped pattern, but were delicious nonetheless. Yours look fantastic.